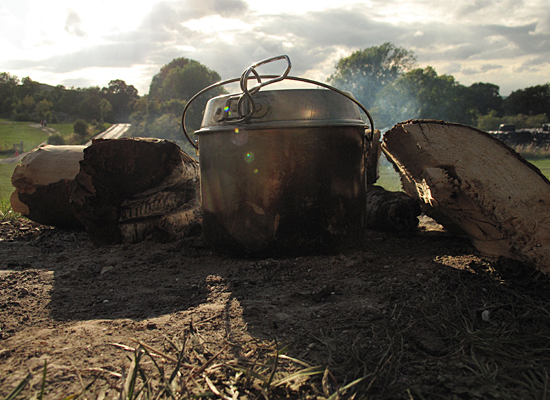 Cooking on a open fire…when wood smoke gets in your eyes! Grabbing what looked like the last decent weekend of the summer, (looking back now, thank god we did, autumn has truly set in) The Tuesday Swim set off to Oxfordshire to do one thing…nothing. 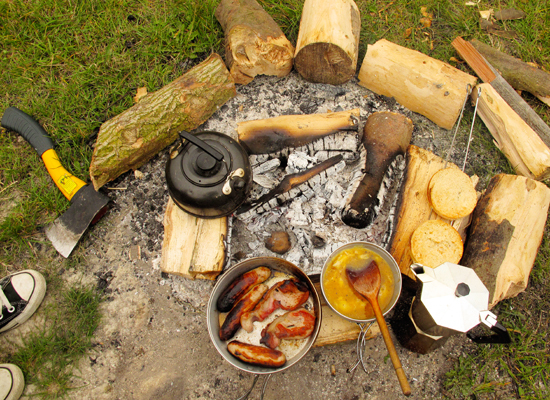 While doing nothing in the shadow of the Ridgeway near Uffington’s White Horse, The Tuesday Swim was hungary and one thing we like to do when camping is slow cook and eat well. 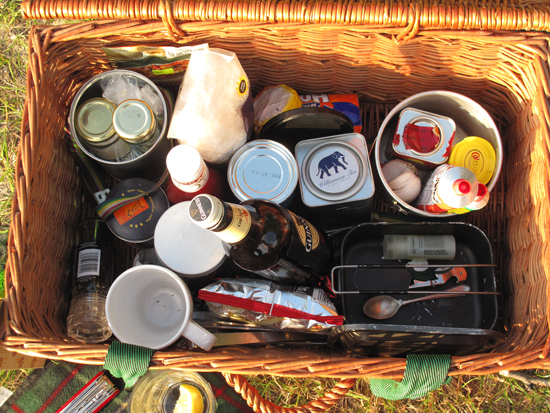 A hamper with all the basic’s and some luxuries is always ready for such occasions, throw it in the boot of the car and off you go. 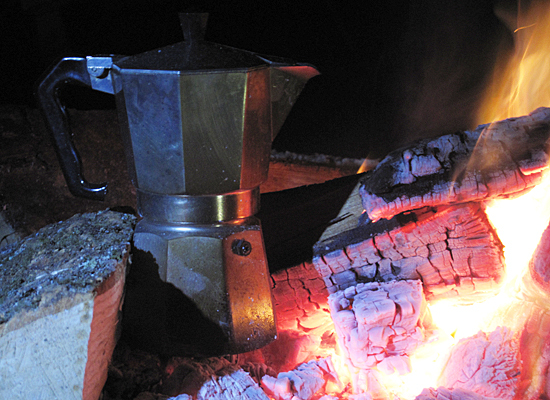 With plenty of time on our hands, cooking on an open fire is therapeutic and can kill many hours. Build a fire, let it burn down, rest a pot near to the embers, keep the odd log burning to feed the fire, then slow cooking and fire prodding commences. Day one consisted of a smoked paprika chicken with rice, cooked for an hour and a half, no pre-bought sauces, just good simple ingredients, Chicken thighs, onion, garlic, tomato puree, smoked paprika and some seasoning. To boil the rice a little more fire is required for heat. With full stomach’s we were now ready for an afternoon of doing very little until the evening meal, a newspaper was read in the afternoon as wood smoke wafted around the camp, we were feeling primeval! After the primeval moment passed and with blood-shot eyes from the embers, the fire was stoked up again in the late afternoon. In the evening, slowed cooked beef in Guinness. 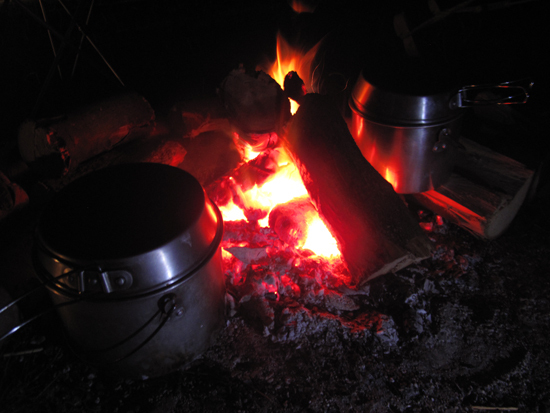 Cooking time was three hours so a well spread out fire created the perfect low temperature. Ingredients, beef stewing steak, sliced onions, peppers, mushrooms, mustard, and a bottle of Guinness.